The polio vaccine was licensed in 1955 and has led to near worldwide eradication of what once was among the most feared maladies on earth, but the World Health Organization declared a polio outbreak last year an international public health emergency. 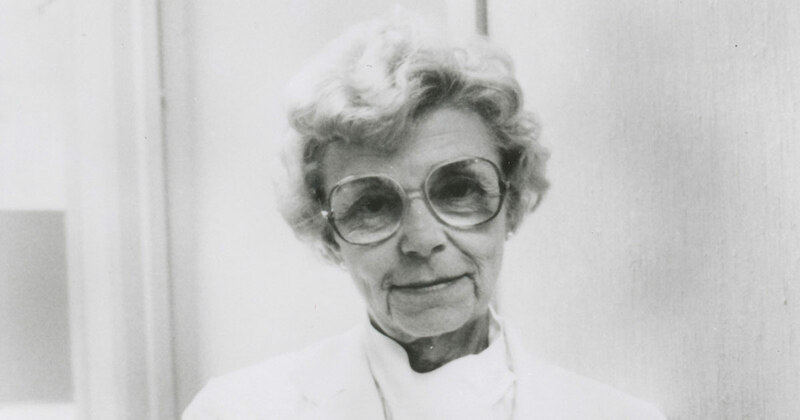 The latest cases prompted 89-year-old emeritus professor of medicine Janet Wolter, MD, to recall her own experiences as a doctor in the years before Salk’s vaccine. My first impression when I walked into the huge ward was of the strange rhythm/non-rhythm, visual and auditory, of 10 rocking beds moving at different rates and inclinations, sometimes in synchrony but more often not, and the punctuating steady whoosh-whoosh of two iron lungs. The people in and on these devices were still faceless to me, but the memory of the sight of those balletic arcs and their attendant sounds is still haunting after almost 60 years. When my postgraduate training in internal medicine was completed in June 1955, I was sure that I wanted an academic future, but still unsure of the specialty to spend it in. (I chose oncology, eventually.) The chief of medicine asked me to take a new position as attending physician under a pulmonary specialist in a recently completed polio ward. I accepted the job and was catapulted into a world of pumps, tracheotomies and physiatry. The University of Illinois Research and Educational Hospitals in Chicago had been chosen by the March of Dimes to be one of 12 respiratory and rehabilitation centers distributed across the country. This one was to serve the large area around Chicago, including southern Michigan, northern Indiana, southern Wisconsin and eastern Iowa. These centers were dedicated to polio victims after they were past — sometimes long past — the acute episode, often existing in iron lungs at home or in non-specialized long-term care facilities. The goal was to get them out of iron lungs, if possible, and to provide optimal physical and occupational therapy and manageable prosthetics. (No cast iron!) The high incidence of polio in the years 1952 and 1953 (and subsequently 1955 itself) had left many people in sorry states. The centers did not take children, but there were many teenagers and young adults needing rescue. The main room was enormous, half of a large city hospital floor. Curtains replaced dividing walls so the nurses could watch for trouble. The iron lungs were near the front, and it was our mission to get people out of them as quickly as possible, but sometimes the psychological dependence was so strong that emerging from them lagged behind the demonstration of physiologically adequate oxygenation by less confining methods. We used the word “breathe” in a way that was unorthodox, as, for example, ‘How shall we breathe the new patient?’ We had three main ways to breathe people in addition to the iron lungs, and a fourth way was explored and exploited from 1956 to 1958. The first way was the rocking bed, a large single bed on a central axis with a motor underneath. It could be set to move foot-down at different angles and back to horizontal or beyond to a head-down position. The rate could also be set, of course. The weight of the internal organs, especially the liver, when the foot of the bed went down pulled the diaphragm down and the lungs filled with air. Many patients expelled the air (and could talk) on return to horizontal. Others needed the head-down push to exhaust the breath. It was good for the skin as well, avoiding the pressure points that are so dangerous in stationary devices. Both patients and staff quickly learned to accommodate to the rocking motion and many activities were possible without turning off the bed. The second way we could breathe people was with chest respirators. These were cumbersome but nevertheless manageable plastic shells with malleable rubberized edges several inches wide that fitted the patient from just below the clavicles (aka the collarbone) to the iliac crests (top of the hips) and laterally to the anterior axillary lines (an imaginary line running down the side that’s used as an anatomical marker). A 3- or 4-inch hose hole penetrated the center of the shell and was attached by a flexible hose to an exhaust pump. Each time the pump pulled, the chest cavity would expand as long as the shell sealed fairly well to the chest wall. Patients could sit up and, with batteries behind a wheelchair, be moved about. There were two brands of chest shells, and everyone soon had a favorite. One was made of light green plastic and its dome shape made the wearer look like a Ninja turtle, but it sealed well. The other was gray and more snugly fitted, but somewhat less comfortable. The third device we had was incredibly useful because of its easy portability. We called them vacuum cleaners because that’s what they were, but functionally they were the exact opposite. We bought canister vacuum cleaners (some of the first) and an electrician who worked with us took them apart and reversed something (the brushes?) so that they blew instead of sucking. Then we fitted the hose with nesting tubes of decreasing diameters until the final one was like a drinking straw. This device offered the patient a supply of constant positive pressure, could be wheeled around easily, and could even be run off of a cigarette lighter in a car. I had an old convertible at the time, and with the top down, a carefully maneuvered Hoyer lifter, a vacuum cleaner plugged into the dashboard and a nurse riding shotgun, we managed to take a number of these terribly confined individuals for a spin along Lake Michigan. The fourth and most unusual way to “breathe” someone required them to learn a technique called “frog-breathing.” I think it was conceived and developed by an occupational therapist, and many patients and a number of staff members were able to perform it. It consisted of taking a big mouthful of air, starting to swallow it, and at the last moment willing the epiglottis to stay open so most of the air went into the lungs. By doing this a number of times in quick succession, the lungs could be fully inflated or even hyperinflated, and the patient could not only sustain himself but talk in long sentences during the passive expiration. There was no denying the resemblance to a frog during the intake phase. The willful overriding of one of life’s most important reflexes, the closing off of the trachea on swallowing, seems an astonishing feat, surely under fine conscious control. Imagine our wonder at seeing the more expert patients do it while they were asleep! The ability to frog-breathe was a reassuring talent when the patients went home. In addition to all the work with breathing devices, physical therapists and occupational therapists worked tirelessly to exploit whatever could be used to advantage. Most of the patients had almost no mobility of any kind, although a few could move a finger or two or flex an arm slightly. They learned to type using a mouthstick, and some could paint with a brush in their mouths. There was an inventive bracemaker who did wonders with aluminum, and a schoolteacher who kept the teenagers abreast of their classes. The nurses were simply fantastic, keeping constant watch day and night over diverse pieces of equipment, tracheotomies, and frightened people. With enormous effort on the part of families, social workers, local therapists, and, of course, the patients themselves, they eventually got home, none of them in iron lungs. The Salk vaccine was announced in 1955 and the Sabin vaccine in 1957. Though it took some time to distribute and put them into use, the number of polio cases dropped dramatically. The final year of the centers was devoted to helping patients from previous years. All centers were closed, I think, by 1960. Recent reports of polio cases in Pakistan, Syria, and China, in spite of the incredible efforts and successes of the vaccination program, triggered my memories, and remind all of us that the fight is not quite over. May no one ever have cause to write such a recollection again. This essay originally was published in the online journal Hektoen International. Rush InPerson gratefully acknowledges the journal’s permission to reprint it here. This entry was posted in Uncategorized and tagged polio, vaccination. Bookmark the permalink.